Urge Your Senators to Vote NO! 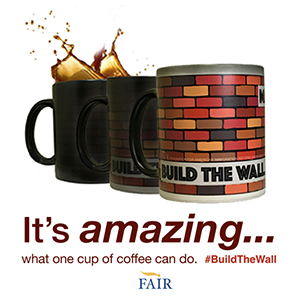 In an about-face, this afternoon, Senate Minority Leader Harry Reid and Senate Majority Leader Mitch McConnell struck a deal to debate the Department of Homeland Security (DHS) appropriations bill (H.R. 240). For weeks Senate Democrats have been blocking a motion to even start debate on the bill under objections that it defunds President Obama’s executive amnesty. However, today’s deal appears to change all that. Minority Leader Harry Reid agreed to throw Democratic support behind a motion to begin debate, and in return, Majority Leader Mitch McConnell agreed to offer one amendment – a substitute that replaces the entire bill – that strips the defunding language from the appropriations bill!!! In fact, under the agreement, the amendment Senator McConnell will offer is a DHS appropriations bill authored by Democratic Senators Barbara Mikulski (D-MD) and Jeanne Shaheen (D-NH). Naturally, the Democratic language does not have language that defunds the executive amnesty. No sooner had the Republican and Democratic Leaders agreed to this scheme, McConnell went to the Senate floor and offered the motion to proceed. The motion PASSED by a vote of 98-2. Next, the Senate will debate the Mikulski-Shaheen substitute amendment to H.R. 240 to replace the House language, thereby stripping the defunding language from the bill. We need your help! 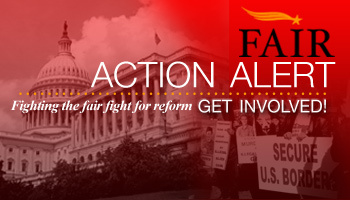 FAIR is urging our members, activists, and supporters to take two actions TODAY! You STRONGLY oppose President Obama’s executive amnesty. There is no such thing as a “clean” funding bill for the Department of Homeland Security. Congress will either vote to fund President Obama’s executive amnesty or to defund it. 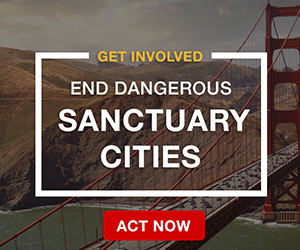 You support the House Homeland Security appropriations bill that defunds the President’s executive amnesty. You expect them to oppose any amendments in the Senate that allows the executive amnesty to move forward. You want Congress to stop the President’s abuse of power, now and in the future. To find the phone number of your Senators, click here. 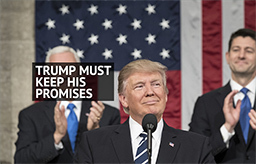 After you call your Senators, call House Speaker John Boehner (R-OH) and demand that he and House Republicans reject any Senate bill that does not defund the President’s executive amnesty! Call Speaker Boehner at 202-225-0600. Take action and make sure your voice is heard!!! You can NEVER get hold of John McCain, ever!!!! Everything is full, no answer etc etc… Send him an e mail and he sends a form letter starting with “Dear Friend”….my, my if he only knew!!! FLAKE is my other REP.. His last name matches him VERY WELL!!!! Both of these guys are the biggest RHINO”S in DC..
JOHN thinks he is a movie star and when he gets on all these talk shows and rambles it is pathetic.. He needs to **** it up!!!! The Open Border Republicans were lying to us from the get-go. They’re not for legal citizen voters’ wishes ; they never were. You be sure that McCain, Flake, and their families will be well “taken care of” by these big money interests even after their political careers are over. They may or may not pay some taxes that goes into the S.S. fund -(those who get tax forms with fake S.S. numbers. Medical care (which is required in Emergency rooms), if nothing else is available. Jail space and crime expenses for those who end up incarcerated. Ask your Representatives what the truth is? Is it fair to hand out checks for up to $6,000 (avg.) per year and allow them to go back and file 3 more years back while they were here working (illegally.) This wonderful bonus had to be written by your generous tax lobbyists, and the generous Democrats and Pro Amnesty groups which has infiltrated the White House and the Administration. 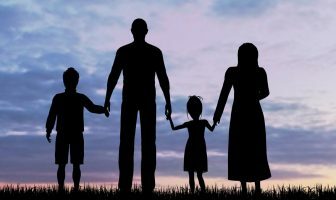 The main reason they receive such large sums is they are Single parents with children. Now you found out what happened to marriage in this country. It’s much more lucrative to be a single parent in this country if you are lower waged. We also know there is billions of dollars in fraud of these credits each year -possibly enough to cover the Homeland Security for the entire year and much of it results from claiming dependents living outside the country and not entitled to credits. Congress was given a synopsis of tax reforms in 2010 which stated changing the credit to a workers’ credit and not base these credits on children, (too open for fraud). But Congress ignored it. Congress should get rid of the EITC and change to a workers credit. and give a credit to every citizen taxpayer. Tell Congress to change to workers credits and end the EITC. I think all of us are as frustrated about not being able to reach our representatives. But, here’s my suggestion, good ol’ pony express, aka snail mail. If all of us start sending real letters to their offices and they begin to be bombarded with mail from angry constituents, they might begin to take notice, (doubtful, but one can hope). In addition to phone calls, I also send my representatives immigration related info in the mail because I think it is harder to ignore than emails, in my opinion. They may not ever change their minds, but the alternative is to just give up which I refuse to do. They want to take ALL of our weapons etc. etc but I’ll bet everyone that he has let into this country illegally will have all they want and then some!!! Do you all remember a few years back around the “Fast & Furious” scandal. Every Government dept was buying guns and ammunition by the thousands!!! Everyone was having a hard time finding Ammo!! What ever happened to all of that stuff???? I think Hillary was supposed to be playing Sec’y of State!!!!!! “Fast and Furious” developed by the ATF during the Bush Administration around 2005 and it was originally called “Operation Wide Receiver.” But there has been no lack of weapons for the criminals. They have enormous arsenals. I oppose funding amnesty. I am opposed to having all these people in our governement that are not upholding the constitution and the law of the land. Frankly I cannot believe most of these people are still in office. Shame on them. Very few of those in power have paid any attention to the Constitution. Take all the Representatives for the past 200 years, divide each of them by the 18+ trillion dollar debt and then multiply each one of them by the time they have served (including the retired ones.) Look at how lackadaisical they have been about budgeting. Definitely time for term limits! I am not certain if 18 trillion dollars were lined up to circle the world if there would ever be an end, no matter how many circles were made. Lobbyists may have less and less power in the government – they may fall to the wayside -with the mega dollar donors taking over. The good news for us “little people”, everything is out in the open, no matter how much money is behind the Representatives. How about that Rand Paul winning the straw poll in Iowa? Very promising step forward for this country and a new direction for this country and especially the youth. Senator McConnell has clearly caved in to the greedy “Big Business cheap labor overpopulation mass consumption lobbyists” in this showdown. The interests paying the largest bribes, oh wait I mean “campaign contributions”, are the ones our corrupt politicians really represent. The American citizen voters are just pawns to be lied to and manipulated by McConnell and his ilk to stay in power. They could care less about the American people. Can you imagine if the current crew of politicians in Washington were our country’s leaders when our country was founded? I hate to think of the type of government they would have formed. Thankfully our Founding Fathers were interested in more than their own narrow interests or our country never would have amounted to much. I am with you 100%. Trying to call senator right now to express my view. Probably won’t do any good as she is a democrat. What chance do we the people have? Congressmen and Senators: at this season of Purim, Esther raised a voice for the protection of her people even though she knew it could cost her life. Praying you will have like courage, for if you do not perhaps God will bring a champion from another source, but you all will have lost all credibility with the American people who elected you. And, if He does not bring another champion, you will surely go down in God’s Book as having caused many to fall. Prayers for your discernment and courage and right standing with God and the American people. I STRONGLY oppose President Obama’s executive amnesty. I support the House Homeland Security appropriations bill that defunds the President’s executive amnesty. I expect them to oppose any amendments in the Senate that allows the executive amnesty to move forward. I want Congress to stop the President’s abuse of power, now and in the future. dhs does niot a bill to pasty forv it it myust be automatic as iour great constityution statresc thatv ioyurv bordersc must be securedc at all timesc amen . nebver ewver a needc forv a vote asc ourv constitutuiion demasnds it bec funded at all tgimes . amen and obama has commited trrewason byb lewaving iourv borderscx ope in defiancec iof ourv great constitution. amen . andv it statesc that a death sentebncec should be guiven at ionce amen forv thisc trewason . aMEN .